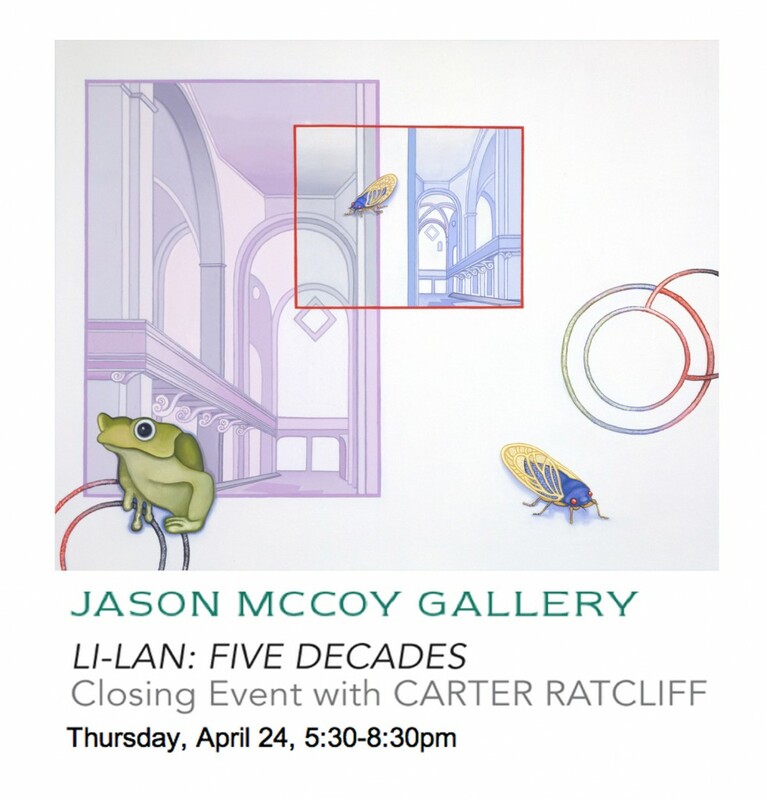 Concluding the Jason McCoy Gallery exhibition Li-lan: Five Decades—an exhibition of key works from the past 50 years by the acclaimed American painter—on Thursday, April 24, 2014, Carter Ratcliff will speak on his collaboration with the artist, creating the first major monograph on Li-lan, entitled The Art of Li-lan: A World Achieved. Through the acclaimed poet, art writer, teacher, and lecturer Ratcliff’s extensive research, a sensitive and penetrating narrative guides us through a gentle but hard-fought life of artistic accomplishment. At this special event, Li-lan will present the bespoke linen-bound special edition of the monograph with her signed limited edition print—which accompanied the cohesive survey of Li-lan’s oeuvre, featuring major paintings and pastels on paper from the past five decades. Following the New York exhibition, Li-lan’s work will be shown in Taipei July 5-27, 2014 at Tina Keng Gallery in the exhibition entitled A World Achieved.